There is strength in numbers and there are many agencies and resources available in Edmonton. Here are some other resources and associations you may be interested in. Please note that this is not an exhaustive list, but just our best attempt as volunteers to help you locate local resources in the Edmonton area. Please let us know about any broken links, incorrect information or if you are an agency that wishes to be added or removed from this list. ​Free nurse advice and general health information for Albertans. Agencies locate and train staff who are available to provide relief care to families. Billing FCSD for these services and ensuring that employer related expenses are covered are included in the services available through an agency. ​ Grande Prairie (780) 532-5611. * summer camps for individuals with developmental disabilities. Phone: Stony Plain 780-963-4044 Calgary (403) 250-7333, Coaldale(403) 345-5199, Three Hills (403) 443-2239 and Grande Prairie (780) 532-5611. Providing Spruce Grove, Stony Plain, Parkland County, Devon, St. Albert and all surrounding areas with quality, safe Respite Caregivers, Personal Care Aides, Community Support Workers, and LPN care. For more than 28 years, Parkland Family Day Homes has remained committed to providing quality childcare. With the help of dedicated Providers, we continue to meet this goal one child at a time. This clinic treats/assesses children/adolescents with complex needs associated with Tourette's. Clinic services include ongoing follow-up and support for children and their families. Referrals must be made by a Physician to the Glenrose Paediatric Admissions Coordinator, who redirects as appropriate. Eligibility criteria apply. The goals of Child and Adolescent Services Association Programs & Services are to offer accessible, effective mental health services to children and families from the Edmonton Region and Central and Northern Alberta and to promote knowledge and skill in the field of children’s mental health. We do this by offering a wide range of assessment and treatment programs as well as professional training and consultation. For children under 4.5 years of age, call CASA at 780-438-0011. For children between 4.5 and 18 years of age, call Regional Intake at 780-342-2701. Provides a full range of diagnostic and treatment services for children, adolescents and their families; offers group therapy for emotional/behavioral problems such as anxiety, depression, phobia, socialization difficulties, anger problems, etc. Offers eating disorders program; individual and family counseling and parent groups; testing for ADHD. Staffed 24/7 by health professionals, the Mental Health Help Line provides: crisis intervention; information on Mental Health programs and services; and referral to other agencies where appropriate. This confidential, anonymous service is provided by Health Link Alberta and is available to all Albertans. Targets adults 18+ who reside within Edmonton and the surrounding area who present with a mental health crisis due to either psychiatric or psychosocial factors. Available to individuals, family members, concerned others and community agencies dealing with emotional or psychiatric crisis. Staffed by professionals with psychiatric experience. Please note that this service does not provide transportation to clients. Provide telephone and/or mobile assessment, intervention and stabilization. Provide consultation/coordination with community agencies and hospitals. The ADHD Association of Greater Edmonton is a registered non-profit society whose objective is to improve the lives of those living with ADHD through education, support, resources, and advocacy. monthly e-newsletter with information about related community services and education. The Learning Disabilities Association of Alberta (LDAA) is a major sponsor of LDExperience. The LDAA is a registered charity that provides information and support for people with learning disabilities. A voluntary, not-for-profit organization of parents, professionals and other concerned people, the LDAA works locally through its chapters and provincially to promote understanding and improved services for children and adults with learning disabilities. Gateway Association is an organization that works with individuals who have developmental disabilities as well as their families. Gateway was incorporated in 1975 by a group of parents. The original focus of the group was exploring education alternatives for their children. When the parents gathered they found that they had something else to give to each other: shared common experience. Gateway envisions a community where all children grow within a family; all children learn together in neighborhood schools; all adults work at real jobs in the community; all adults will have a real home and real friends; and all people are valued, contributing members of their communities. Gateway is a family resource centre that provides education, family support and mentorship. It is our mission to assist the community to understand intellectual disabilities. The Autism Society of Edmonton provides support, information about Autism, upcoming news and events, and links to a variety of Autism resources in the Edmonton area. The Centre for Autism Services Alberta is a non-profit organization that provides a wide variety of services, therapeutic and recreational programs, education and support to individual with Autism and their families. Provides administrative support to regional office in Alberta. Advocates for increased community supports for persons with mental illness. Provides mental health resources information including suicide information and education. We value the irreplaceable support provided by numerous disability- and illness-specific organizations in our province. They should be the first stop for any caregiver and their loved one beginning their respective journeys. The ACGA understands that the well-being of the care recipient is of paramount importance to caregivers: illness- and disability-specific organizations provide valuable information and support to help caregivers provide optimal care for their loved ones. The Family Centre believes that, with the right opportunities and tools, people can make choices that lead to success. For over 60 years, The Family Centre has been helping Alberta families, communities, institutions and workplaces make positive choices that lead to successful outcomes. Offering parenting courses, counseling and family support. Transitions Rehabilitation Association of St. Albert and District is a not-for-profit community organization located in St. Albert, Alberta, Canada. We were established in 1978 by parents and other interested citizens who wanted services and supports for their children with disabilities in their own community. Catholic Social Services is a multi-function social service agency that serves people of all faiths and cultures throughout central and northeast Alberta. Founded in 1961, the agency has grown to deliver more than 100 programs. Provides clinical and relationship counseling along with coping skills to individuals, couples and families. This program is focused on building foundations, developing skills and helping people discover their abilities and potential. Dreamcatcher's Intervention Specialist works in collaboration with parents, teachers and specialized teams to meet the needs and goals of the individual. The program takes place outdoors in a natural, relaxed yet challenging environment. Skilled Professionals work one to one with the participants and specially chosen animal partners. The participants are actively engaged and learn through immediate experience. Each individual session is specially tailored to suit the participant’s specific therapeutic needs. These workshops will provide opportunities for brothers and sisters of children with special health, mental health and developmental needs to obtain peer support and education within a recreational context. Sibshops are lively, pedal-to-the-metal celebrations of the many contributions made by brothers and sisters of kids with special needs. Sibshops acknowledge that being the brother or sister of a person with special needs is for some a good thing, others a not-so-good thing and for many somewhere in between. They reflect a belief that brothers and sisters have much to offer one another, if they are given the chance. The Sibshop model intersperses Information and discussion activities with new games (designed to be unique, offbeat, and appealing to a wide ability range), cooking activities, art and recreational activities and special guests. Sibshops seek to provide siblings with opportunities for peer support. Because Sibshops are designed (primarily) for school aged children, peer support is provided within a lively, recreational context that emphasizes a kids'-eye-view. Sibshops are not therapy, group or otherwise, although their effect may be therapeutic for some children. Sibshops acknowledge that most brothers and sisters of people with special needs, like their parents, are doing well, despite the challenges of an illness or disability. This is a series of three, related websites developed for use by families, aides and school staff supporting children with disabilities! These interactive websites provide evidence-based strategies for promoting adaptive behaviour, while managing challenging behaviours. There are additional topics of interest in each site, so feel free to look through all of them. These websites are free, and anyone who is interested in gaining a better understanding of how to support a child with a disability is encouraged to use them. Topics written by parents for parents. Maintaining and improving the well-being of the entire family. This is a series of three, related websites developed for use by families, aides and school staff supporting children with disabilities! 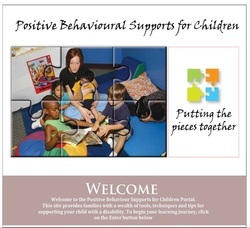 These interactive websites provide evidence-based strategies for promoting adaptive behaviour, while managing challenging behaviours. There are additional topics of interest in each site, so feel free to look through all of them. These websites are free, and anyone who is interested in gaining a better understanding of how to support a child with a disability is encouraged to use them. Topics written for aides. This is a series of three, related websites developed for use by families, aides and school staff supporting children with disabilities! 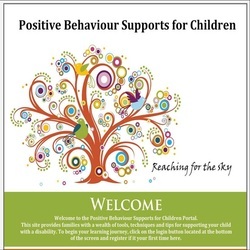 These interactive websites provide evidence-based strategies for promoting adaptive behaviour, while managing challenging behaviours. There are additional topics of interest in each site, so feel free to look through all of them. These websites are free, and anyone who is interested in gaining a better understanding of how to support a child with a disability is encouraged to use them. Topics written for schools. Family support services are available to families caring for a child with a diagnosed disability or to families who are awaiting confirmation of their child's diagnosis. These services are primarily based on the needs as identified by the family. In addition to information, referral and advocacy supports, family support services also include assistance with counselling, extraordinary clothing and footwear costs, travel costs for medical appointments, meals while traveling to medical appointments, accommodation costs associated with attending medical appointments and respite services. Child-focused services are provided when a child has a confirmed diagnosis and assessment information to specify their individual needs. Child-focused services provide a range of respite services, aide supports, child care supports, health-related supports, specialized services for children with severe disabilities and out-of-home living arrangements." Assured Income for the Severely Handicapped (AISH)The Assured Income for the Severely Handicapped (AISH) program provides financial and health-related assistance to eligible adults with a disability. The disability must be permanent and substantially limit the person’s ability to earn a living. AISH clients may also be eligible to receive supplemental assistance (a child benefit and personal benefits) through the AISH program. The AISH Information Line has recorded information about the AISH program. Topics include eligibility criteria, applying for AISH, and health and personal benefits. The line also has program advisors who can help to answer your questions. Assistance is available 24 hours a day, 7 days a week. Provides funding for children in low-income families to receive health services such as dental, optical, emergency ambulance, essential diabetic supplies and prescription drugs. The Federal Government recognizes the extra financial burden of raising a child with special needs and provides a tax credit to families who have a child with a severe lifelong disability. Form T2201 must be completed by a physician, occupational therapist, speech language pathologist, or psychologist familiar with your child in order to allow you to claim this tax credit. Click on Forms and Publications then follow the directions. Edmonton & Area Child and Family Services offers a range of supports and services to children, youth, adults and families. Services include: Child and Youth Support Program, Child Care Services, Child Intervention Services, Edmonton Student Health Initiative Partnership, Family Support for Children with Disabilities, Prevention and Early Intervention, Prevention of Family Violence & Bullying, Protection of Sexually Exploited Children, and Reporting a Child In Need. Their services incude integrated training programs, career counselling, job search assistance, computer access, academic upgrading, workplace strategies, and many more. As well as providing more information about their services, their website includes helpful documents about interviews, job accommodations, managing risk, etc., and success stories. Chrysalis offers innovative assessment, vocational training, employment, and alternatives to employment opportunities for individuals with disabilities. Extensive support services are a component of all programs offered by Chrysalis. These include developing life skills such as self-esteem building, improving communication skills, and problem solving techniques. 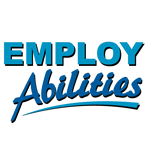 - Alternatives to Employment Services assists and supports people with multiple disabilities who desire meaningful day activities in the community and on-site. - Vocational Services provides community based time-limited, goal directed on the job training and support. - Career Trends and Solutions for Work are two other programs offered by them. Services include coordinating and integrating services to children with special health needs who are registered in school programs (from 2.5 years to 20 years of age). Providing support to staff to achieve service goals for children. Working as a team to achieve goals with children and their families. 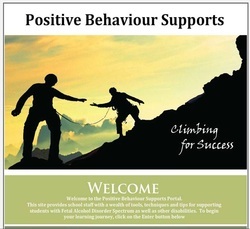 Emotional and behavioral support services. Rehabilitation Services (speech language and occupational therapy primarily). Website will lead you to the partnership in your area. Many students with disabilities do not have the necessary supports to participate in educational opportunities and activities that are available to their peers without disabilities. The Programs and Services for Students with Disabilities in Edmonton and Area project was to identify and raise awareness about the gaps in programs and services in the school system that children with disabilities require, and to identify how these gaps affect children with disabilities. This research project was made possible by a grant from the TELUS Edmonton Community Board, which works to provide funding for initiatives that improve community life in Edmonton and area. InfoSmart is dedicated to removing barriers to learning, employment and quality of life through the provision of personalized AT Services. InfoSmart is based out of Edmonton, Alberta, Canada and is part of Burke & Associates Inc., a respected firm with almost two decades of consulting experience in the fields of health, human services, and education.